Where is the frozen lake in Fortnite? We wouldn’t mind betting our swish property in Snobby Shores that you’re wondering this because you’ve just seen the latest set of special Fortnite challenges. 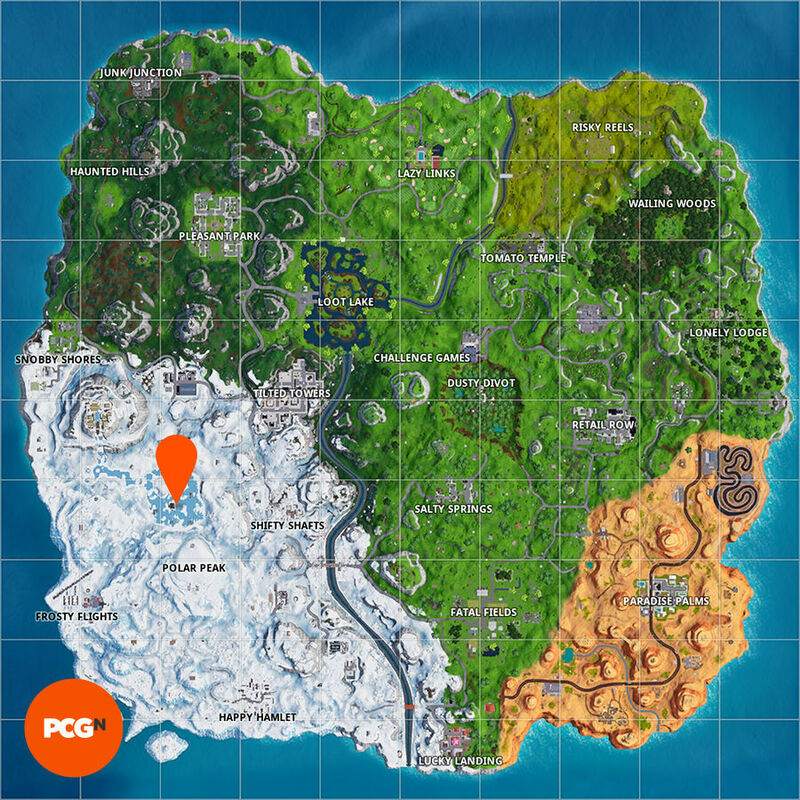 So, being the kind folk we are, we’re going to help you find the Fortnite frozen lake. Just in case you didn’t know why we even have these one-off quests, the asnwer lies in the one-of-a-king performance that’s happening in the usually-quiet named area of Pleasant Park. DJ Marshmellow is putting on an in-game gig their, and we’re hunting down new challenges to celebrate. So, before you start this task, make sure you’ve already finished off the second Showtime challenge: visit the Fortnite Showtime venue. Completing this will nab you the Keep It Mello emote, and it’s this that you’ll need to use once you’ve found the elusive Fortnite frozen lake. So, without further ado, here’s where you can find it so you can get a Marshmello-themed harvesting tool. The Fortnite frozen lake is just north of Polar Peak and south of the Viking Ship. Both the castle and wooden longboat are pretty decent markers with which to aid your descent from the Battle Bus. The lake is rather large so it’s pretty tough to miss, but we’ve provided a map below to tell you exactly where to go anyway. We’re just nice like that. 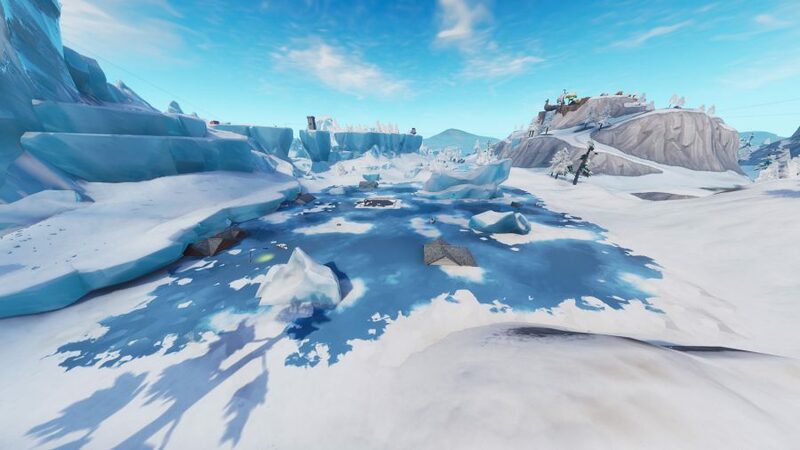 So, there you have it, that’s the Fortnite frozen lake in which you need to test out your brand new Keep It Mello emote. Remember, you can get a spray inspired by the visiting DJ by searching for a Fortnite Showtime poster. And, once you’re all done, we hope you enjoyed the concert, and at least picked up some litter on your way out. We also have a duty to keep Epic’s zone of deatch clean and tidy.